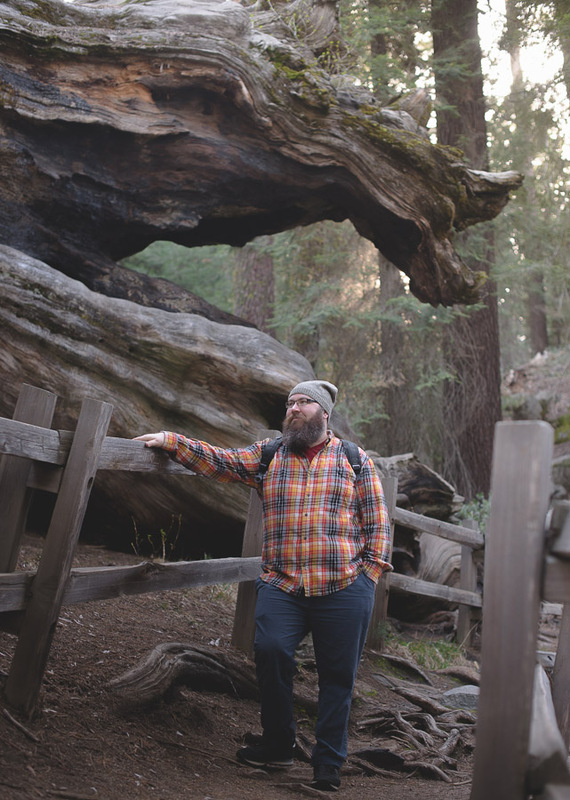 For our final visit to California (where the Mister is finishing up a graduate degree), we decided to travel in a couple days early so we could visit Sequoia National Park. Over the years, I’ve been lucky enough to visit a few redwood groves, but had never seen their giant cousins, the ancient sequoias, and couldn’t miss this last opportunity. 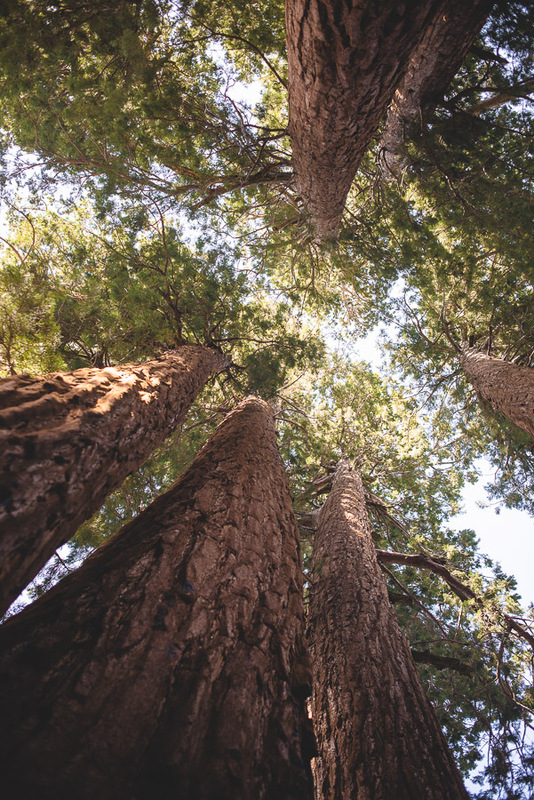 Driving into the mountains, you expect the trees to grow gradually larger as you ascend, but instead, they suddenly double and triple in size just past the park entrance, and we exclaimed and pointed loudly again and again as we made our way to our lodge. 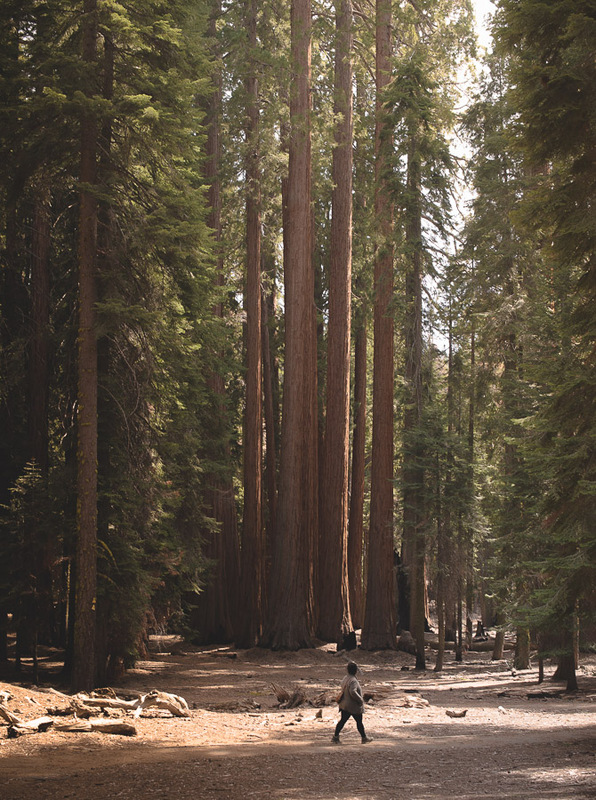 Later we’d find ourselves in awed silence again as we encountered trees bigger than we could have imagined. As someone who often communicates memory and experience through photographs, I found myself struggling to find ways to capture the scale and grandeur of this wonderful place, and finally gave up on that as I got lost in the way the magical, golden light bounced off the reddish bark of the trees, setting the ancient forest aglow. In general, this is the best resource I found for deciding which hikes to take and what to expect when you take them. While nearly everyone in California seems to tell you to visit in summer, I’ve loved all our off-season visits. You often feel like you have the place to yourself, especially if you set off on your hike first thing in the morning. 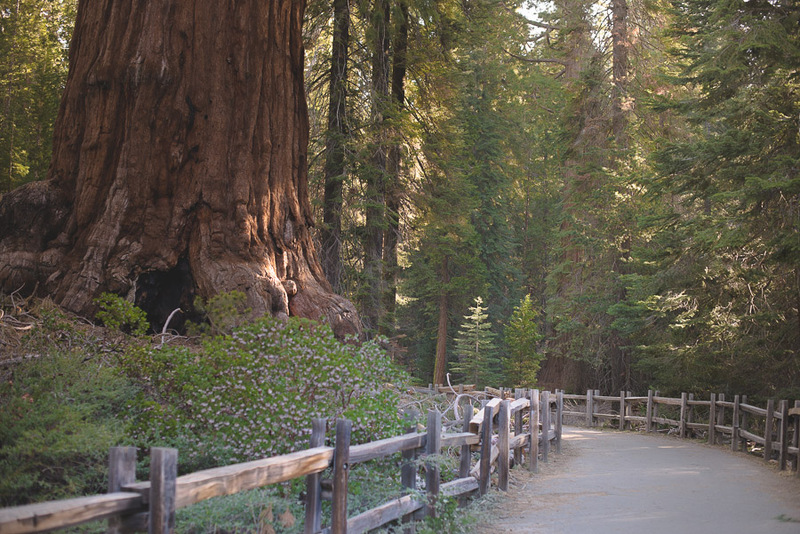 However, if you come before mid-May, it’s likely that the road to nearby King’s Canyon National Park will be closed. Keep that in mind when planning your visit. There are very few places to eat or buy food in the park, and those places that do, close on the early side. Consider coming prepared with hiking snacks. In the winter, gas can also be hard to come by in the park. We were able to refill at the Hume Lake Christian Camp gas station, which is located north of the John Muir Lodge. 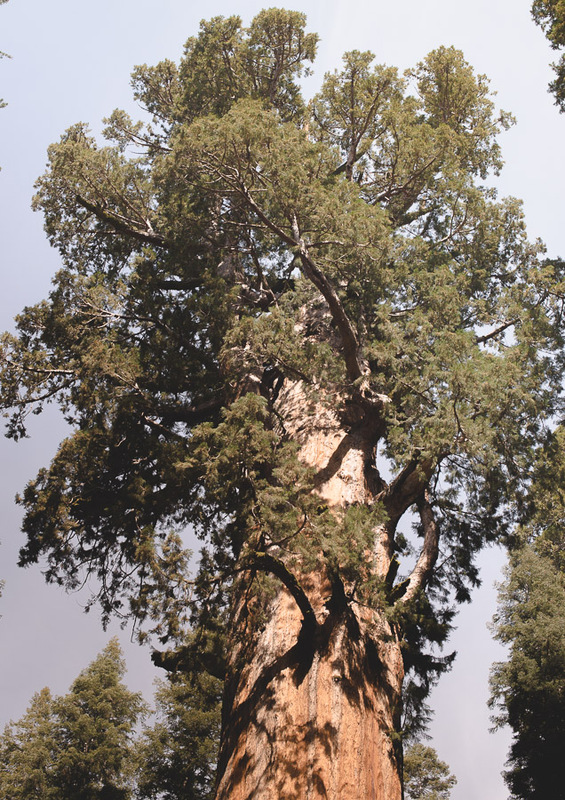 When visiting the General Sherman tree, be sure to save a couple of hours to leisurely explore the nearby Congress Trail, a lovely and not too strenuous loop that starts nearby. 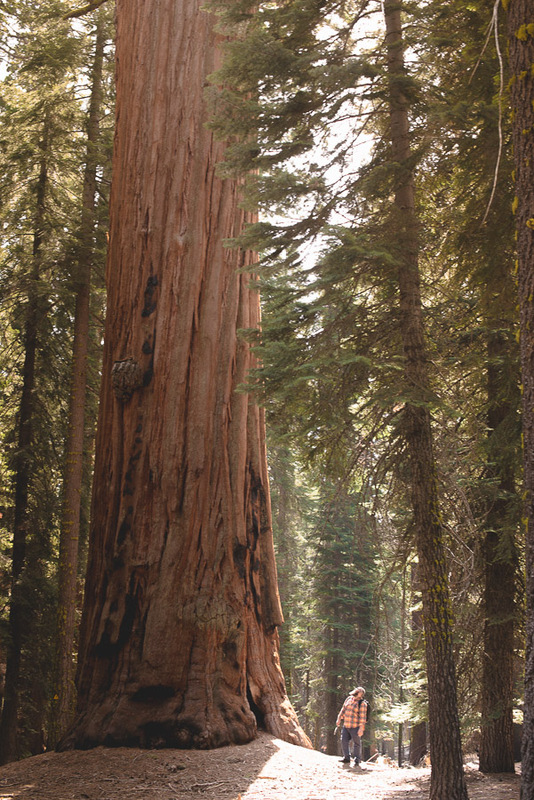 This walk is much quieter than visiting the big Sherman and Grant trees, but passes by dozens of other impressively large sequoia including several gorgeous clusters of these towering giants. 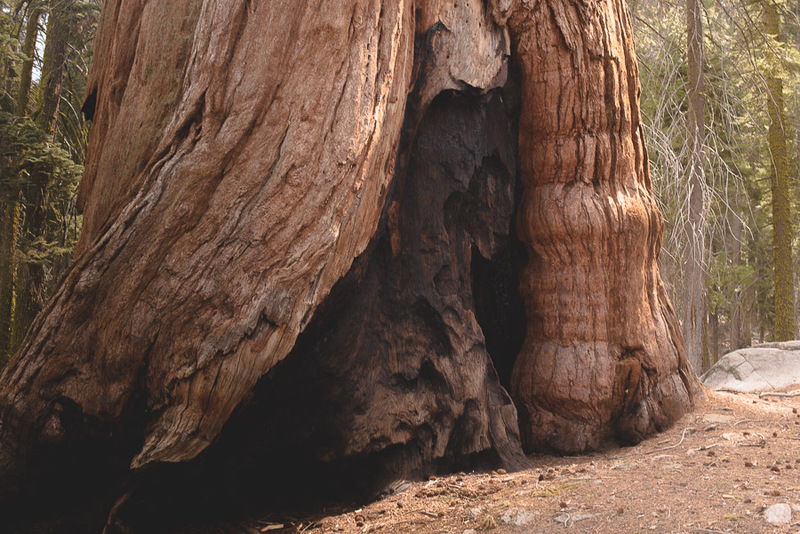 The Grant grove is an hour drive northwest of the Sherman tree and the Giant Forest area, but its lovely and worth the drive if you have some extra time, especially to see and even walk through the remains of several fallen beauties. Moro Rock is a steep and vertigo-inducing climb, but the constantly shifting views over Sequoia and King’s Canyon are worth every step. Tunnel Tree is as touristy as it gets, but too much fun to skip. You’ll get the best photo if you have your driver/passengers lean out the window as they pause under the log. The Auto Log, however, was far less interesting. Feel free to pass on by. If you are very lucky, and a quiet walker, you may run across a few adorable marmots lurking in the lower hollows of the trees. 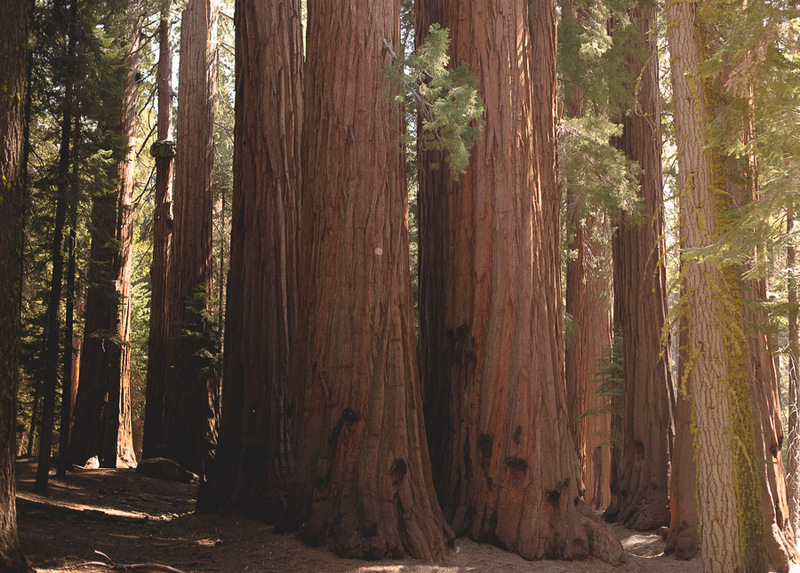 Great photos – those trees are seriously impressive! !